Solve complicated puzzles and link crucial facts to unravel the deception. 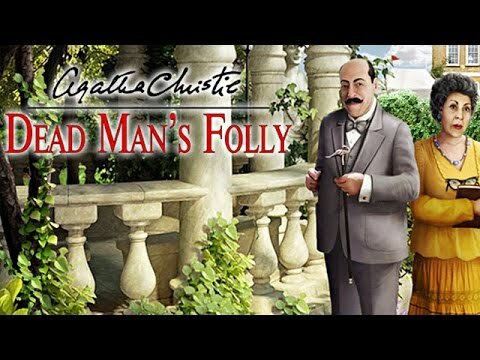 "I always loved Agatha Christie and this game did not let down her great legacy. It contains a good mystery with clues and the hidden object levels are really well designed. I loved this game." As a guest at the beautiful Nasse House in the English countryside, you are invited to take part in a thrilling mock-murder game. While visitors follow clues to figure out "whodunit", those in charge find themselves with a rising sense of uncertainty. Find hidden clues, decode messages, solve complicated puzzles and link crucial facts to unravel a story of deception, dark secrets and a fatal end. Is this Murder Hunt innocent fun, or a Dead Man’s Folly? Good graphics. Puzzles of all kinds. Hidden Objects clues. The others in this series are great. Love the mystery and the different challenges within the game. This is one of my favorite Hidden Object games. I have never made it to the end but the different rooms are really neat. I love Agatha Christie books and the games are totally awesome. The graphics were good and the level of difficulty was perfect for me.